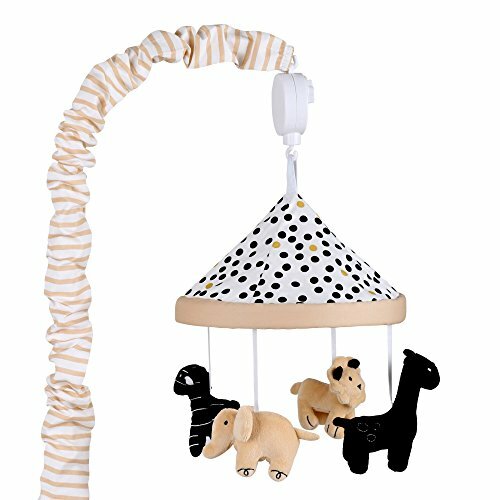 The beautiful Safari collection musical mobile features fun safari animals in contrasting colors on grosgrain ribbons. It plays a gentle lullaby to soothe your baby to sleep. The wind up design means no batteries are necessary.